Which Credit Cards Am I Spending Most On? I’ve read a lot of your reviews lucky. Great site. I just have a simple question regarding cards that you’ve reviewed. Where do you rank them and how much money should you spending on them to make it worth having? A top 5 would be amazing. Thanks Lucky! With the above in mind, what should you be considering when you’re thinking of applying for a credit card? Would you rather earn cash back or miles/points? 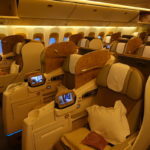 If the latter, are you looking to travel as far as possible at the cheapest price, or looking for “aspirational” travel, whereby you want to redeem for first/business class and five star hotels? Do you prefer to earn flight or hotel rewards? How much do you value annual perks at? Things like annual hotel free night certificates, elite status, etc.? How much do you spend on credit cards a year? Enough so that it could be worth paying an annual fee so you earn bonus points in the categories you spend the most in? Hopefully the above at least points Neverspring in the right direction. So where am I directing most of my spend nowadays? This has been my “go to” card for a long time, given the long list of benefits this card offers. Between double points on dining and travel, no foreign transaction fees, great auto rental coverage, etc., this has sort of been my default card for a long time. This is a card I acquired during my last round of credit card applications, and one I’m very excited about. One reason I have the card at the top of my wallet is to knock out the minimum spend on it. This card is undergoing some changes as of April 19, 2015, which I’d consider to be a net positive. Right now this card is where I’m putting my dining expenses, though starting April 19 I’ll be putting all my travel expenses on the card, which I’m excited about. This is another card I picked up during my last round of credit card applications, and one I’m very excited about. For the months I’m in the US, this is my go-to card for everyday, non-bonused spend (I don’t use it abroad because it has foreign transaction fees). That’s because when you make 30 transactions on the card during a billing period you earn 50% extra points. That means you’re earning 1.5 Membership Rewards points per dollar spent, which is an amazing return. That being said, some months I’m only in the US a few days, so it’s not practical to make 30 purchases. Those months I probably won’t use this card very much. Back in the day this was the absolute best card out there. It’s still pretty awesome, though as you can see there are quite a few cards which give the Marriott Bonvoy Amex a run for its money. I consider Marriott Bonvoy Points to be the single most valuable points currency, and value them at ~2.2 cents each. So for big, non-bonused purchases (like tax payments), this is still the card I’ll often use. Ultimately there’s no right or wrong approach to credit card spend. And ultimately even my strategy varies quite a bit. Sometimes I put a cash back credit card at the top of my wallet, while other times cash just seems boring, and earning miles seems more fun. But as a general rule of thumb I’m using my Chase Sapphire Preferred® Card and Citi Premier for all my non-US spend as well as bonused US spend, while I’m using the Amex EveryDay Preferred as my go to card within the US. And then at the moment the Marriott Bonvoy card is sort of my backup card. Ben, I read a good tip by MMS where you can simply fund your Amazon account $0.50 x 30 to meet the 30 swipes requirement. Probably the best and easiest way to knock that out each month. But I want to know your top 10 cards in your wallet. How is the Amex EveryDay Preferred worth it if you might not use it a few months out of the year? The $95 fee would eat up quite a bit unless you do a lot of MS on it? Good top four! I’m just jealous of the view. Did you get the sign-up bonus MR points from the AMEX Everyday Preferred Card? If so, how? I thought they were cracking down on that. @ Alex — Welcome to commenting! 😀 Yes, I did get the bonus as I haven’t had the card before, so was eligible for the bonus. @ Marc — I plan to use it for most months, and for grocery purchases and being able to earn 1.5 Membership Rewards points per dollar spent on things like tax payments, it’s more than worth the annual fee to me. @ Gene — Just for one night! Correct me if I’m wrong, and I hope I am. I am having a problem justifying the SPG Amex. When I look at international hotels on their website, it is always displayed in the foreign currency. Is it possible to pay in USD to avoid the forex fees? How do you book international SPG stays? Do you use CSP? I get that it is great for non-category spend, but it seems awful that you can’t get the bonus unless you pay the forex fees. Ben: Since you’re technically homeless, what do you do with all of your “extra” cards? I’d doubt you’d be carrying all of them with you all the time. @V2DW: Don’t feel bad, i got the same dreaded message as well when I applied for the CSP last month. A call to recon was all it took. Apparently whatever credit bureau they used had practically no information on me. The most “recent” address they had was one I moved away from 18 years ago. @ V2DW — Thanks for the support, and hopefully you get approved for the card. Have a great weekend! 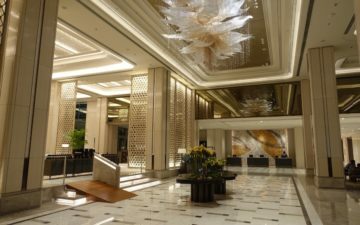 @ Nick — Yep, the SPG AmEx does indeed have foreign transaction fees, unfortunately. @Lucky I get that, and know there is no way around the forex fee. But is there a way to pay on the Starwood website in USD, like you would on Orbitz? how do you book your international Starwood properties? Freedom, forward? Prg for air tickets? @ we — I use those as well, though consider them to be more “specialty” cards, as I put spend in “niche” categories on those cards. @ Nick — Nope, not consistently, at least. I just pay with my Chase Sapphire Preferred for double points. @Ben approved for the CSP. @AlexS yap recon went smooth. Although I didn’t like that Chase double pulled me with EX and EQ. After looking at the demographics of where I live base on credit pulls they always double pull here.